Boyce Thompson Arboretum, near Superior, AZ, is always a wonderful location to spot some of Arizona's best birds. 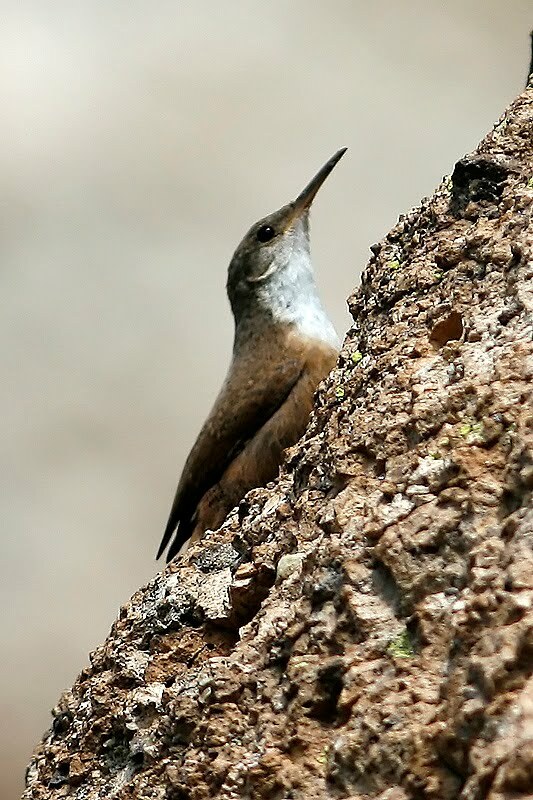 It is close to Phoenix, as a number of exotic and native plantings that locals and migrants love, and is close enough to the famed Arizona 'Sky Islands' to occasionally draw in some SE Arizona or Mexican rarities. My Saturday morning trip to Boyce Thompson was actually focused on butterflies and dragonflies, but I can't ignore certain birds. Cardinals and Phainopepla were abundant, as were Lesser Goldfinch. There were a number of other 'usual' desert birds, including Curve-billed Thrasher and Cactus Wren. 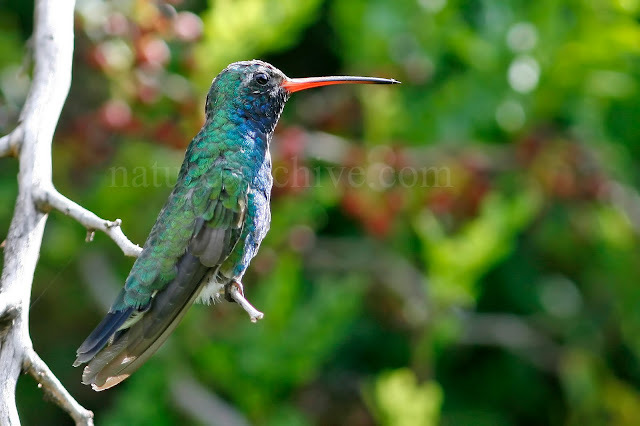 The Broad-billed Hummingbird below was one of a handful that were seen. 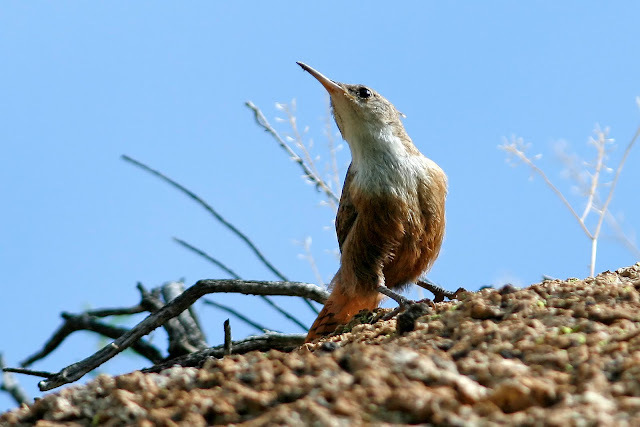 Perhaps the nicest find for me was a somewhat photogenic Canyon Wren. I say 'somewhat' because I had to look up a sheer rock face of Magma Ridge and contend with the strong backlighting of the sky and the usual tendency for the camera to focus on the high-contrast rocks. 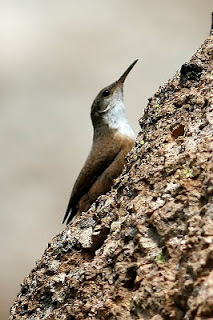 But I was able to snap a couple of identifiable photos - something I've struggled with when I've seen Canyon Wren in the past. 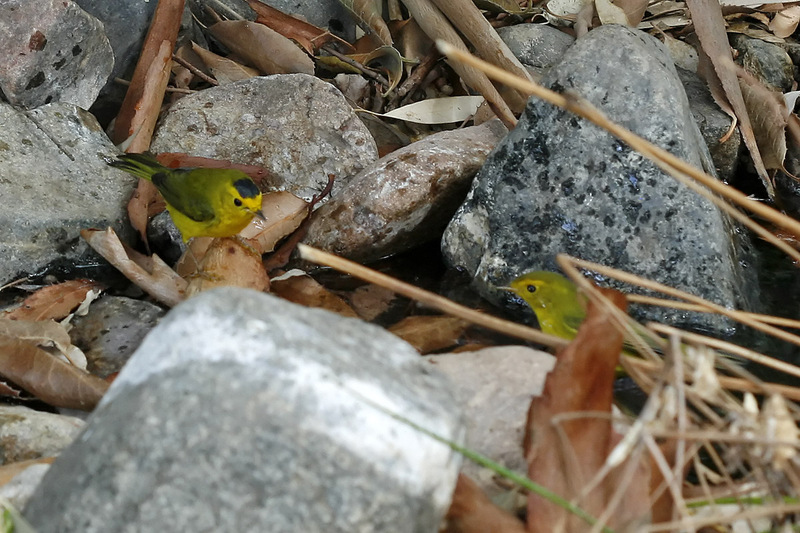 And below was another nice find - a male and female pair of Wilson's Warblers playing in a small stream. Unfortunately, I had my 100mm macro lens on at the time, but the fact I was able to get as close as the photo shows tells you how engrossed they were in the water. Wilson's warblers are some of the more common warblers in the low desert, but any warbler is fun to see.